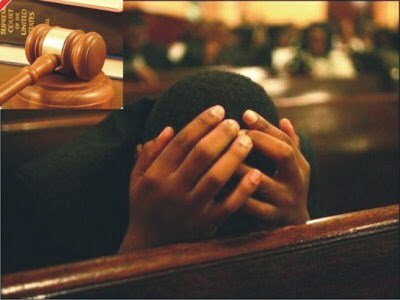 A Kubwa Grade 1 Area Court on Tuesday, sentenced a 28-year-old man, Ibe Chitoo, to six months imprisonment for hacking into the bank account of one Ifeoma Nwobu and withdrawing N455, 000. Chitoo of Jalingo, Taraba was convicted and sentenced for theft and cheating. The Judge, Mohammed Marafa, however, gave the convict option of N20, 000 fine ‎and ordered him to pay N455, 000 as compensation to Nwobu. He said that if Chitoo failed to pay the said sum, he would serve him additional three months in prison. The prosecutor, Babajide Olanipekun, had told the court that the complainant, Nwobu reported the matter at the Kubwa Police Station on Nov. 24. He said Chitoo stole the complainant’s MTN Sim card and hacked into her First Bank account and fraudulently transferred N455, 000 only from the complainant’s account sometime in 2016. The prosecutor also said that Chitoo transferred the said sum to various accounts without the complainant’s consent and converted same to his personal use. The offence contravened Sections 287 and 322 of the Penal Code.